Telematics has some very obvious benefits for fleet operators, but it can also provide a treasure trove of information for claims adjusters. Recent comments from Nino Tarantino, chief executive officer of Octo Telematics in the US, suggested that car insurance claims adjusters could potentially use telematics to determine how many passengers were in a vehicle that was involved in a collision and whether those passengers were wearing seatbelts. Typically, telematics is used to record data such as speed, location and driving behaviour, but increasingly, it has been used by insurers to determine premiums. That’s because telematics can detect behaviour, such as speeding, sudden acceleration and hard braking, indicative of risk. Speaking to canadianunderwriter.ca, Mr Tarantino said that telematics allows an insurer to find out “in real time that there was a car accident and they know where it happened, when it happened and how the car was damaged”. 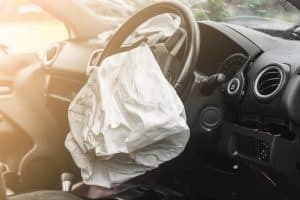 In the event of an accident, an adjuster can find out which part of the car was damaged, how severe it is and assess the probability that any of the car occupants sustained whiplash; claims that have a history of being abused due to difficulties in proving otherwise. Insurance companies could also benefit from reduced administration costs by being able to close the claim faster. Mr Tarantino adds that telematics have the potential to help insurers build additional services such as monitoring automotive systems. “One day we may be able to tell the customer, ‘in one month, your battery is going to die. You need to replace it,’” Tarantino predicted.